Extension cords are to blame for around 3,300 home fires, resulting in 50 deaths and 270 injuries each year. The average homeowner often looks to extension cords as the quick answer for many of their electrical woes. And why not? Extension cords make up for the inadequate placement of outlets and come in pretty handy when placing a TV 15-feet away from the nearest power source. Stretching the reach of your electrical current through these portable wires is wonderfully convenient when used properly, but extension cords can also overheat and cause fires when used improperly. 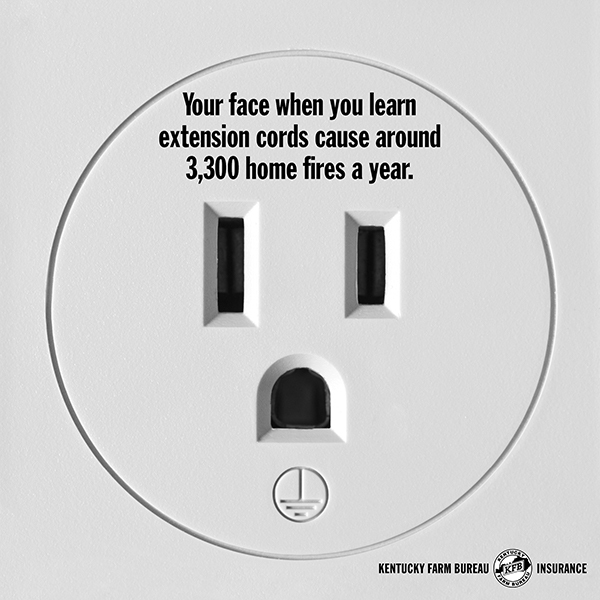 In fact, extension cords are to blame for around 3,300 home fires, resulting in 50 deaths and 270 injuries each year. 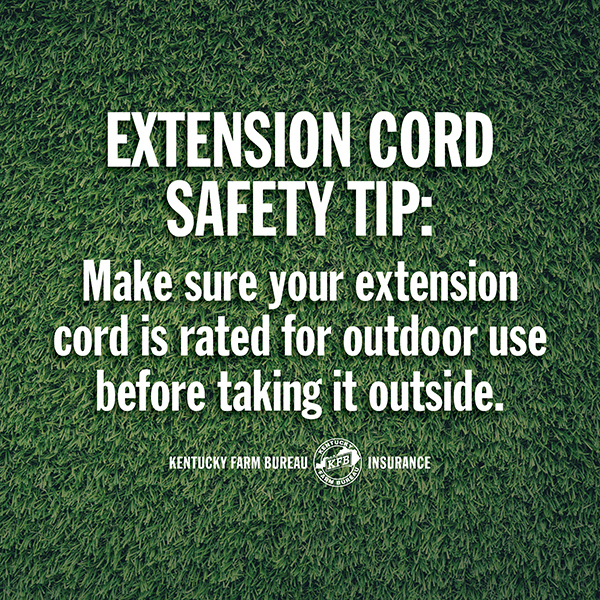 Make sure extension cords are properly rated for their intended use, indoor or outdoor. Outdoor extension cords have tough covers made from rubber, plastic or vinyl. Indoor extension cords used outdoors can overheat. 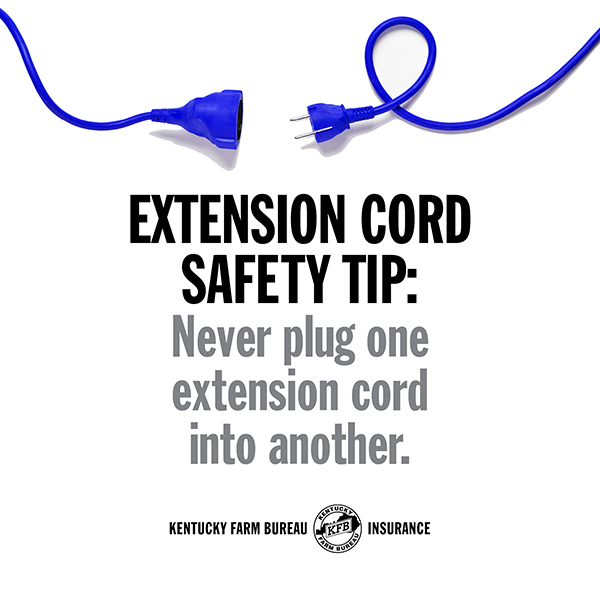 All extension cords are not created equal – match the length and gauge of the cord to the electrical need. Cords are offered in many lengths and are marked with a size or "gauge." The gauge is based on the American Wire Gauge (AWG) System: the larger the wire, the smaller the AWG number. For example, a 12 gauge wire would be larger and can power larger wattage appliances than a 14 gauge wire. Usually, an electrical device’s box or owner’s manual will detail what kind of gauge you’ll need to safely deliver the correct amperage. In simpler terms: If you buy a power drill, check the owner’s manual to see what size cord you’ll need. Only buy cords that have been approved by an independent testing laboratory, such as UL (Underwriters Laboratory). A UL stamp on the product’s tag means the cords have been tested for safety hazards. Inspect cords for damage before use. 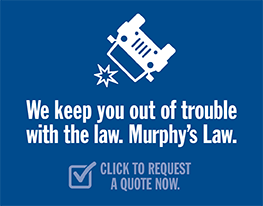 Check for cracked or frayed sockets, loose or bare wires, and loose connections. Touching even a single exposed strand of wire can give you an electric shock or burn. Do NOT nail or staple extension cords to walls or baseboards, and avoid running extension cords through walls, doorways, ceilings or floors. If a cord is covered, heat cannot escape, which may result in a fire hazard. Keep cords clear of snow and standing water. Never use three-prong plugs with outlets that only have two slots. Never try to force a fit, which could lead to electric shock.